Scarlet fever can occur when the bacteria secrete a particular toxin to which the affected person is sensitive. It occurs mostly in children aged 5-15 and manifests with specific symptoms. Red rash (hence the term “scarlet fever”) developing on the face, chest, abdomen, and back and spreading to other parts of the body. Skin looks like it’s sunburned and is rough and scratchy. However, the skin around the mouth retains normal coloration. Skin will start to peel about a week after the rash appears. 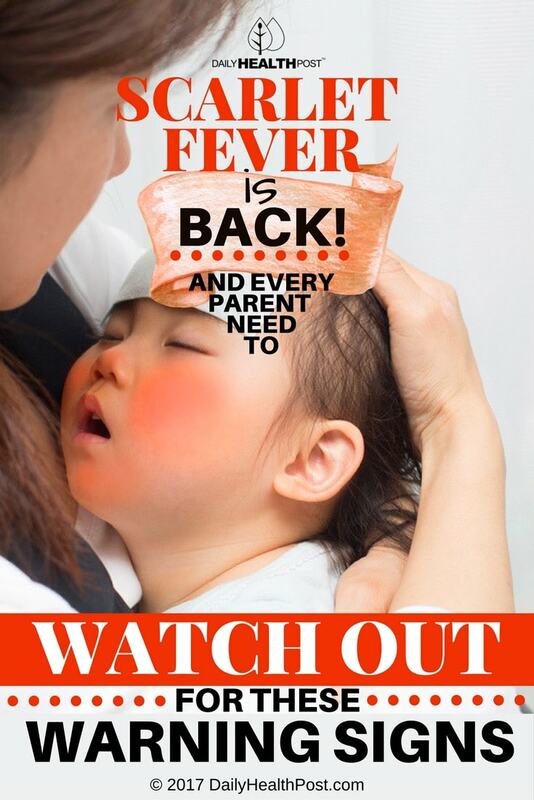 Scarlet fever is a highly contagious infection. Exposure to anything that the infected person has touched, coughed or sneezed on puts you at risk for contracting the infection. Hand washing with soap and water, especially after blowing the nose and before eating. Keep contaminated implements like toothbrushes, cups, and toys quarantined from the rest of the family. No skin-to-skin contact with someone who has scarlet fever or strep throat. Treatment with antibiotics is the standard course of action for scarlet fever. In fact, it’s the first thing your family doctor will recommend. This is one of those cases for which antibiotics are indicated, as scarlet fever can pose long-term risks. Alternatively, there are natural antibiotic remedies that have been shown effective against strep throat. Here are some home remedies to try for your little (or not-so-little) one to ease the symptoms of scarlet fever and promote rapid healing. Always at the top of the list to combat illness, adequate hydration plus some extra will help the body’s natural ability to rid itself of harmful bacteria. If your child is old enough to gargle, salt water is a great vehicle for fast relief from a sore throat. Kids really like making the sound, too! You can find recipes for antiseptic and soothing gargles and throat spray here. Moist air is easier on the throat and nose; it can also ease congestion, relieve coughing, and ease skin itch. Plus, it hydrates sinus and lung tissue. Using a diffuser to add healing essential oils into the air will bring lasting relief since using essential oils in a humidifier isn’t recommended. 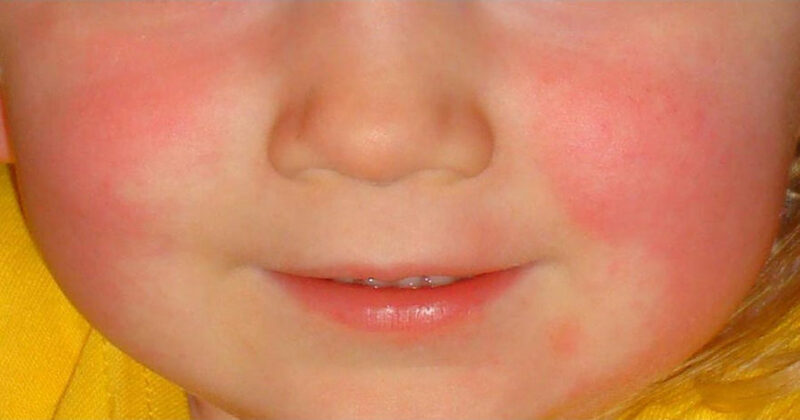 Essential oils provide soothing anti-inflammatories and antibacterials to relieve the itch of scarlet fever rash. If applying topically, always mix essential oils with a carrier oil (jojoba, sesame, olive, coconut, avocado, etc.). Here’s the recommended ratio: 4-5 drops of essential oil to one teaspoon of carrier oil. Always test the mixture in a small spot for 24 hours for sensitivity before widespread use. Lavender, patchouli, geranium, tea tree, rosemary, and peppermint are suggested to treat a rash. It’s simple: long or chipped fingernails can further irritate skin when it is inevitably scratched. Excessive scratching can lead to open sores and possible infection. Keeping up nutrition for scarlet fever is essential for quickly getting rid of the infection. Bone broth and chicken soup are full of vitamins and minerals that nourish and support the immune system. They’re also comforting, warm and soothing. Vegetable soups deliver soft bits of nutrition that don’t hurt to eat. Vegetable soups deliver plenty of easy-to-digest nutrition. Garlic is a potent antibiotic—more effective than pharmaceuticals—and our garlic soup recipe is loaded with it. Alternatively, oatmeal is a good option for breakfast (and is a soothing bath for the skin). If your child is old enough for throat and cough drops, they’re an effective way of delivering medicine where it’s needed to calm pain, ease cough and congestion, and kill bacteria. You’ll find recipes for homemade drops here that contain only natural, healthful ingredients. Laundry detergent, dryer sheets, fabric softeners, personal care products (e.g., shampoo, soap, lotion), household cleaners, and cigarette smoke can further irritate sensitive skin and mucous membranes. That’s why it’s important to use natural products instead of harsh chemicals. The negative effects of second-hand smoke on your child (even more so when s/he’s ill) is yet another reason to quit smoking cigarettes. Most children will recover from these scarlet fever symptoms with adequate rest, nutrition, and antibiotic treatment in 7-10 days. If on an antibiotic regimen, don’t allow your child to come into contact with others until 24 hours after treatment starts, when the infection is no longer contagious.